You may be a make-up junkie, with drawers filled with colourful palettes and lip colours, or a pared- down beauty user who sticks to the basic essentials. Either way, no one can deny that cosmetic products can cost a bomb. It is also a recurring cost as beauty items are used almost daily and need replenishing before long. With things getting more expensive in Singapore, staying within one's spending budget is not always easy. According to a Straits Times report in February, an annual government survey conducted ahead of Budget 2017 showed that the cost of living was a top concern for Singaporeans. But there are ways to tighten those purse strings - by getting your beauty fix from the local pharmacy or personal care store. Drugstore brands may not come with the frills and pretty packaging that prestige labels offer, but that does not mean that such products should be overlooked. Speaking to The Straits Times last week, local make-up artist Clarence Lee, 44, says he includes drugstore labels in his make-up kit. "I've been using some of the drugstore brands, such as Majolica Majorca, Kate, Dejavu, Clio and ZA, for years. They are affordable and are great options for those who don't want to spend too much," says the freelancer who has been in the beauty business for more than two decades. "You can get quality beauty products from the pharmacy and just because they are cheaper does not mean the make-up is not good." Healthcare stores, such as Guardian, Watsons and Sasa, also regularly offer good discounts. It is not easy to trawl through the shelves of beauty offerings and try the multitude of brands available. The Straits Times narrows the search down for readers with this list of 10 value-for-money beauty products available at pharmacies and personal care stores here. •The Straits Times paid for and tested each product reviewed here. A good concealer from a high-end beauty label would typically cost at least double this drugstore version. But this product delivers results. The lightweight formula, to be applied before foundation, is easy to blend and provides good coverage. 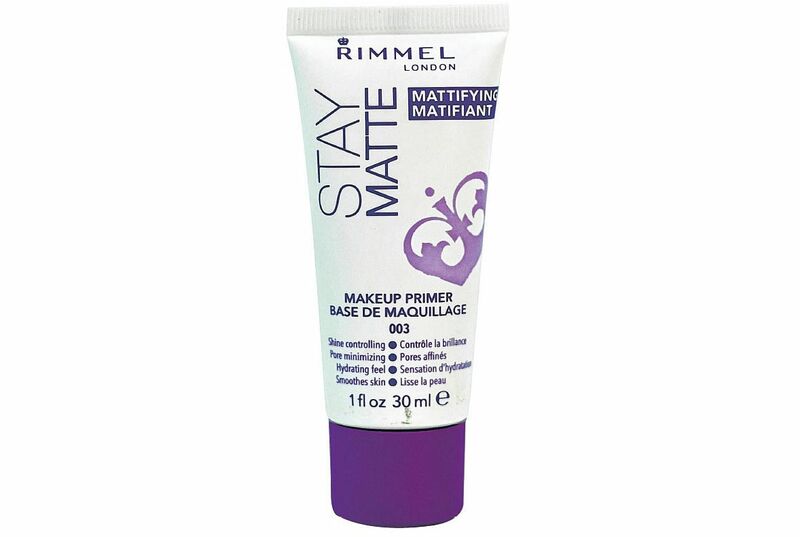 It is effective in concealing dark eye circles and its semi-matte finish makes it look natural on the skin. It is also easy to use. Twist the top collar to release a small amount of the liquid formula onto the sponge applicator. Then dab onto the skin and blend with the sponge or with the fingers. The formula contains anti-ageing ingredients such as goji berry and haloxyl, which the label says helps to reduce puffiness and conceal fine lines. The product is not cakey and does seem to decrease puffiness around the eyes slightly. It is also effective in covering up light freckles. No reapplication was needed throughout my long work day. Singaporean make-up artist John Lee, 34, says the concealer is one of his favourites. 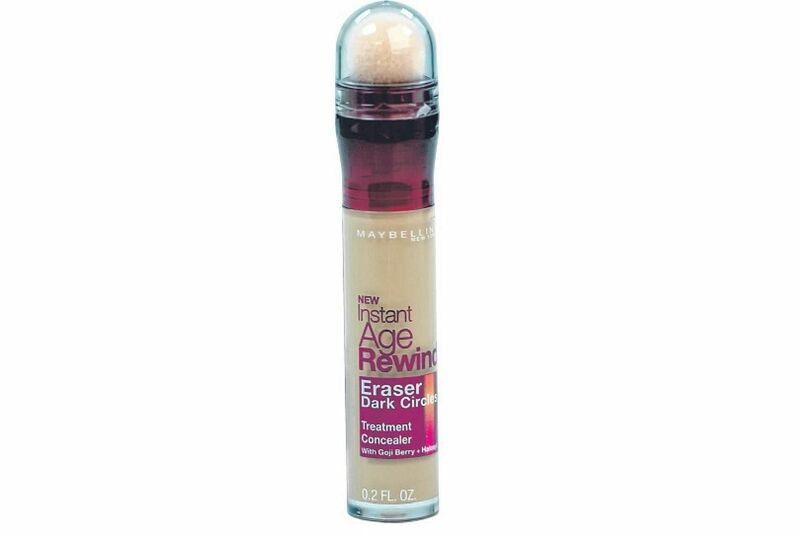 "It is very light on the skin, but it still gives good coverage and has a great texture. The sponge applicator is also not too flimsy and I like it because it does not fall apart after multiple uses." The make-up artist says that the only downside to this brand of concealer is that it is available in only four shades. This felt-tip brush eyebrow pen stands out from its peers in the same price category for its ability to create natural-looking brows with ease. The narrow tip makes it easy to draw thin feathery strokes and the formula is also smudge-proof and contains water-resistant polymers. If you wear the product to do rigorous physical activity, it might fade due to perspiration. However, it lasted an eight-hour work day without any touch-ups. 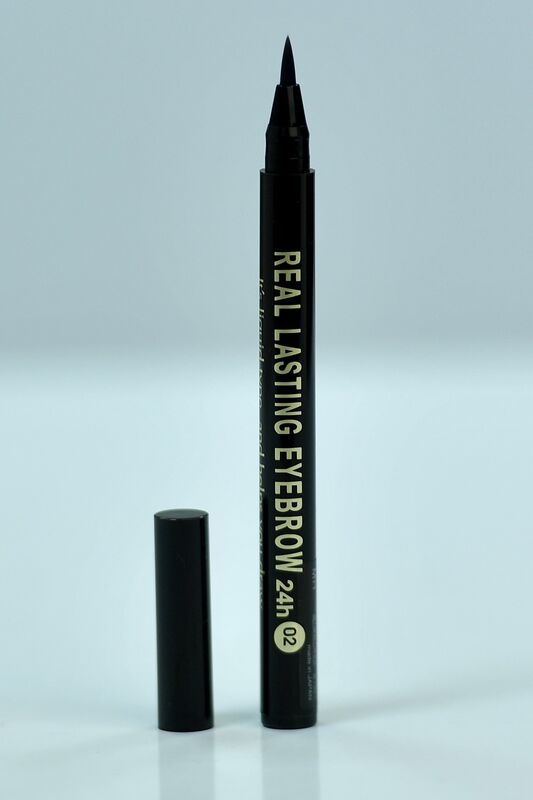 Unlike many other brow products, this one does not become patchy when four or five layers are applied. The formula's sheer brown tone also means that it fills in patchy brow areas well. Being lightweight, the product does not cause brow hairs to clump together. This eyebrow liner comes in two shades, a darker greyish brown and a lighter natural brown. The darker shade will work for users with dark eyebrows - the deep brown helps to create more natural-looking brows compared with black eyebrow products. The liner can also be used to create faux freckles on the face, a trend popularised by beauty tutorials on YouTube and celebrities such as reality-television star Kendall Jenner. This primer really helps make-up last longer. Another big plus point is its mattifying effect: The skin appeared significantly less shiny after a 10-hour work day. A typical primer from a premium beauty label would cost at least double. It is smooth and blended easily onto the skin to instantly create a matte, translucent veil with a velvety texture - a perfect base for make-up. The subtly scented cream can also be dabbed on lightly on top of make-up to seal the look. What this lightweight formula seems to do is visually minimise the skin's pores. It is neither heavy nor greasy. One downside is that the finish can be slightly powdery. Over application can also leave you with a caked-up look. To combat this, do not be heavy handed when using this primer. A little goes a long way. Using this helped the foundation and concealer last longer and also controlled shine for up to five hours. After that, a reapplication on top of make-up was needed to keep the skin matte. It is strange, but removing dirt from your pores and looking at the fruit of your labour - the blackheads stuck on a strip - can be both gross and cathartic at the same time. 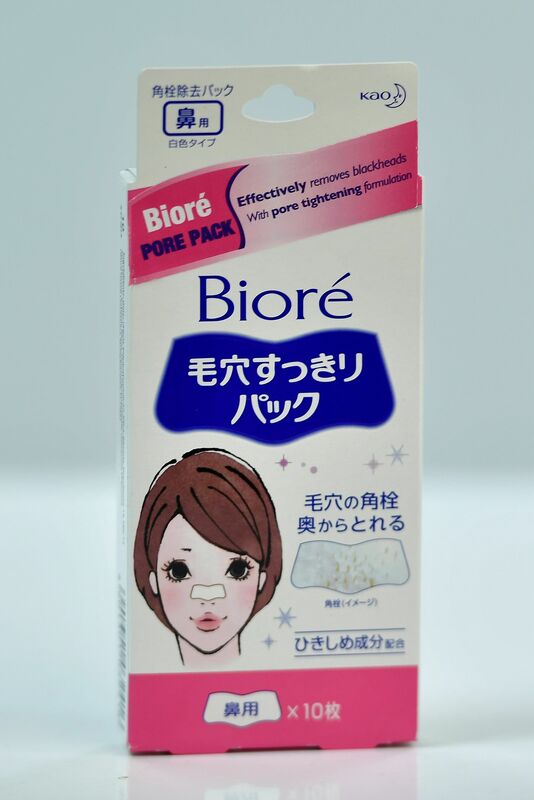 To be successful in your endeavour, get back to basics with Biore's paper pore strips. Other newfangled blackhead- removing products on the market, such as gels and charcoal masks, made popular through YouTube beauty tutorial videos, are not as effective. Many also dry out the skin. The trick to the paper pore strip is in its application. First, prepare the pores by removing make-up and cleansing the face. Next, take half a teaspoon of bicarbonate soda and mix it with a few drops of water to form a paste. Spread this over the nose and leave it to dry for five minutes. Wash off the paste with warm water. The strip comes with strategic cuts along its top and bottom to fit on the nose. Before peeling it off its plastic backing, twist it so that the cuts are released. This will make sure that the strip will sit snugly on the curves of the nose. Paste the strip on wet skin and leave it to dry till it hardens. This should take about 10 minutes. Remove the strip from the bottom of the nose, peeling upwards. Wash the face with cool water to remove any residue and tighten the skin. I used the pore strip once every two to three weeks, and see a satisfying amount of blackheads on the strip each time. Why it made the list Matte liquid lipsticks have been trending for months, but it can be difficult to find a formula that lasts for more than half a day and does not dry the lips. This creamy formula does not feel dry at all, likely due to the fact that it contains lip conditioners, such as aloe vera and chamomile extract. At about one-third the price of other popular liquid lipstick brands, this humble lip shade has a great colour payoff. Just one layer leads to a rich, uniform shade that does not clump or become patchy with multiple applications. The lip colour lasted 10 hours through a lunch of porridge and vegetables - with no reapplication. After a full work day, the colour did not fade or become patchy. It was also easily removed with a make-up cleansing wipe. The angled sponge applicator made it easy to apply the product and create a sharper lip line. 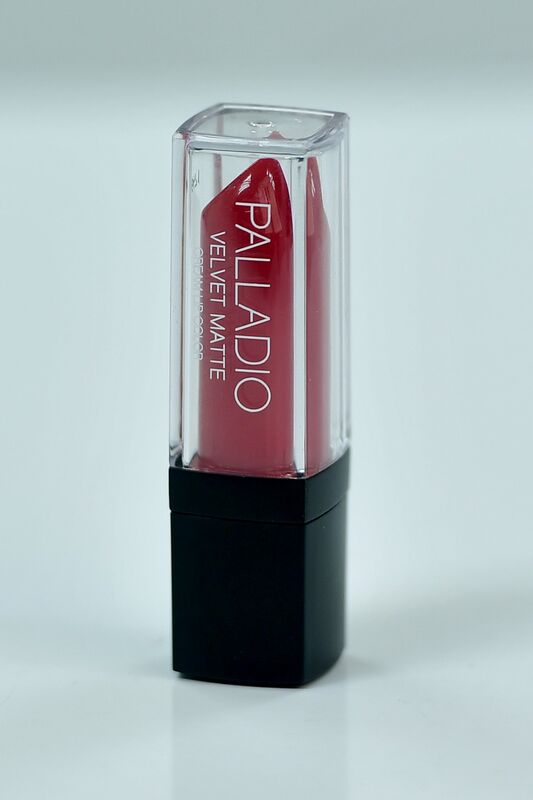 The lipstick has a velvet-like texture that does not bleed even when worn without a lip liner. One downside might be that the product does not completely dry on the lips like some liquid lipsticks do. It can smudge like a typical lipstick if the lips are rubbed. Long-lasting and affordable, the lipstick is available in neutral shades and pink tones. 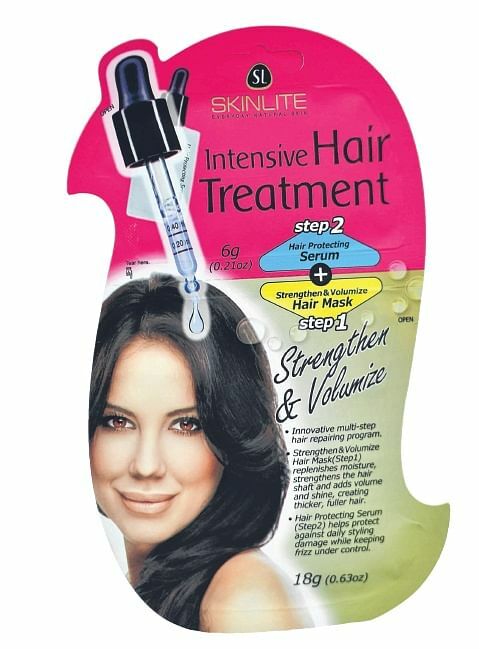 At just $2.90, this hair treatment is a convenient alternative to an expensive trip to the salon. One section of the two-part sachet contains a hair mask, to be applied to wet hair from the roots to the tips after washing. The other is a hair serum to be applied on the hair right after. The latter does not need to be rinsed off. The hair mask is gel-like and has a light, fresh scent. It is easy to work through the hair and makes the strands feel softer and smoother almost instantly. The mask is also easy to wash off and does not leave the hair feeling greasy. The hair serum is a lightweight lotion that is easily absorbed and does not make the hair feel oily. The beauty of the product is that the entire treatment process takes just 10 minutes, including the hair wash. This treatment might not work as well or last as long as one at the salon - but a salon treatment would set one back by between $200 and $300. This mask does reduce frizziness and make the hair feel slightly thicker and softer. At just $12.90, this lotion is priced significantly lower than sun protection creams from popular brands, which typically cost from $15 to $70. The product blends easily into the skin and does not leave it feeling greasy or sticky even after three layers have been applied. Using it under make-up is a breeze and does not make a difference to the final look. The lotion has a lightweight texture that melts into the skin and becomes translucent. It also does not leave the skin with a pallid tint, unlike some thicker creams. The formula includes whitening ingredients and acai berry extract, which the label says will reduce the appearance of dark spots and relieve redness and soothe the skin after sun exposure. The product has a subtle scent and does not have the strong chemical sunblock smell. 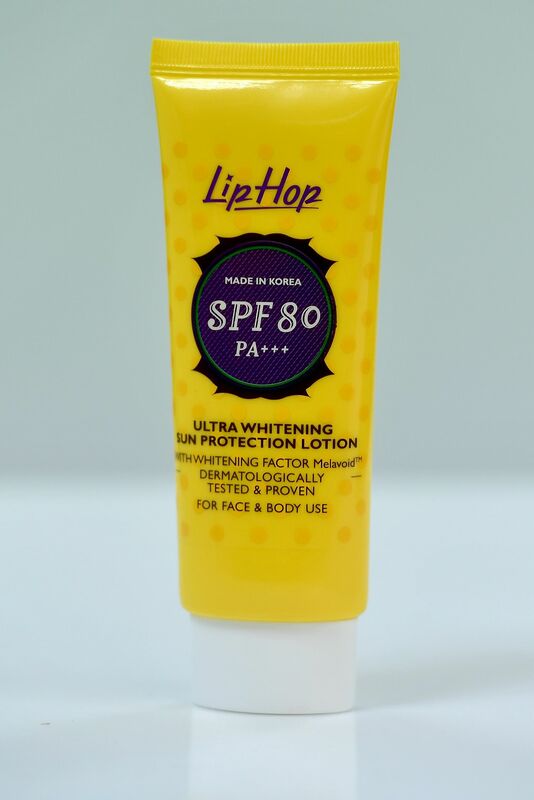 And at SPF80, it exceeds the minimum SPF30 protection level for daily use recommended by the American Academy of Dermatology. This water-resistant and smudge-proof mascara is particularly useful for those with lashes that grow straight down. Straight lashes tend to be more difficult to curl and usually touch the lower eyelid when the eye is closed. This means that mascara, after it is worn throughout the day, sometimes creates dark smudges below the eye due to the constant blinking. 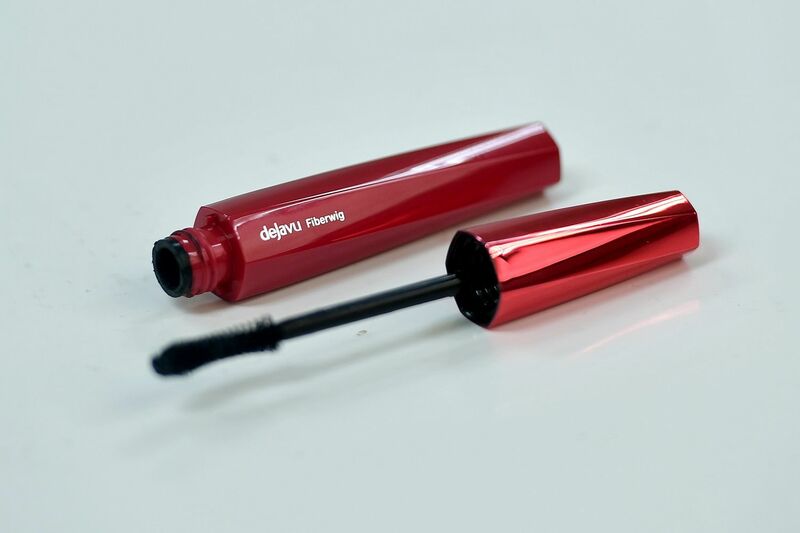 The Dejavu Fiberwig mascara, which has a film coating for water resistance, did not smudge or run even after a long 10-hour work day. The liquid formula contains tiny fibres which help to lengthen the lashes and give them a slight curl. Lashes appear longer after just one layer of the mascara is applied. To achieve the best results, apply the mascara with the brush curve facing upwards and using a side-to-side motion as you move the brush upwards through the lashes. This will help to coat the lashes evenly. After the mascara has dried, curl your lashes with an eyelash curler for more lift. The product does not peel off onto the curler, unlike many other mascara products. Another plus? It can be removed with just warm water. The downside to this mascara is that it does not add volume to the lashes even after multiple layers are applied. It works for those who want longer-looking lashes with a more natural finish as opposed to those looking for bolder, thicker lashes. Make-up removal wipes are a convenient option for travellers or for busy people who want to save time. 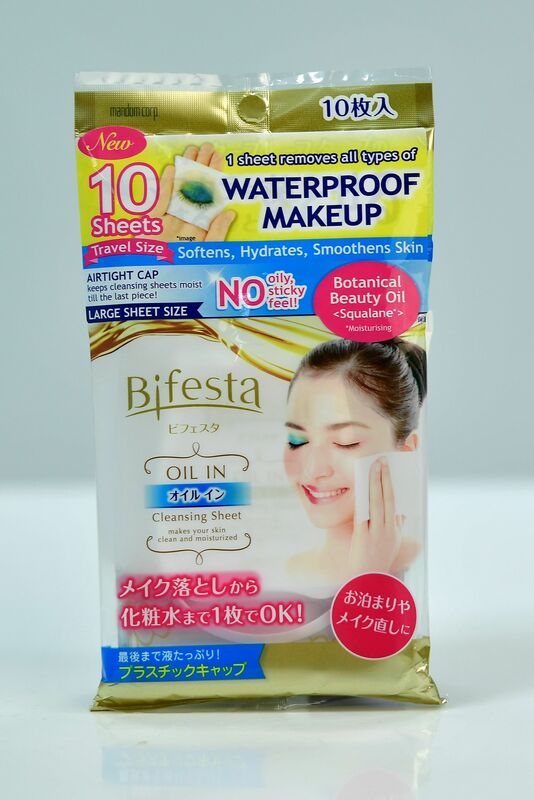 Infused with a lightweight and non-greasy botanical oil, the Bifesta Cleansing Oil Sheet leaves the skin feeling hydrated and refreshed. The wipe also does not leave the skin feeling greasy. Each sheet is lightly scented and sufficiently moist to remove make-up from the entire face when both sides are used. It is gentle on the skin, does not leave a dry feeling and is strong enough to remove waterproof make-up, including mascara and eyeliner. The airtight cap on the packaging also ensures that the wipes stay moist and do not dry out. Ms Marie Soh, 27, founder of make-up and image consultancy 27A and local beauty label Inga Cosmetics, says she likes the wipes because they are easy to use and leave the skin feeling comfortable. "I've tried other brands and I like this one because it is more effective at removing make-up." The skin on your lips is thinner, which means that it loses moisture quicker than the rest of the body, especially in air-conditioned environments where the air is dry. So a good lip balm is a must to keep your lips smooth and supple. 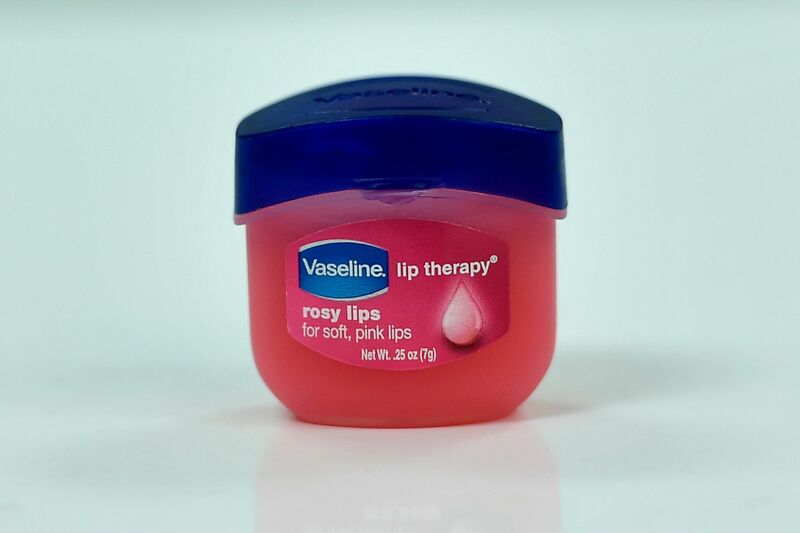 The Vaseline Lip Therapy Rosy Mini not only comes in an adorable mini tub, but also moisturises the lips instantly without making it feel sticky or greasy. The subtle rose scent of the balm is refreshing and not overly sweet. It also does not leave a weird taste in the mouth. Apart from being a good moisturiser, the light pink balm also leaves a faint and natural-looking tint on the lips, giving them a healthy look. Besides using the product as a lip balm throughout the day, the gel-like product can also be used as a lip treatment mask to help soothe and heal dry and cracked lips. After removing your make-up and cleansing the face, apply a thick layer of the balm over the lips and leave on for about 10 minutes. Remove the balm gently with a piece of tissue paper and dab any access product on the skin. The lips will become smoother and softer. This process can also be used before applying liquid lipstick. It will ensure that your lipstick has a smooth crack-free canvas to glide on, helping to create a flawless finish.